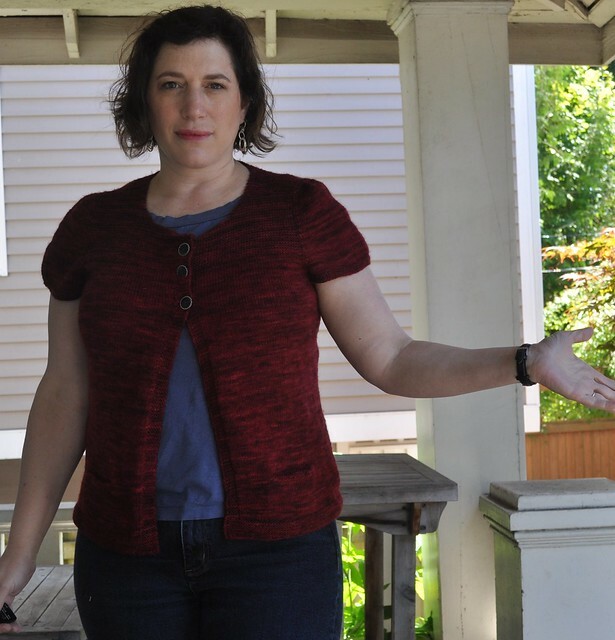 Notes: I don't know what I was thinking when I decided to knit this sweater with 2-3" of negative ease. It's cute but it's nothing like the original. The construction on this sweater is interesting. It's an unusual top-down set-in sleeve. I love the yarn. I just wish I had knit it in a larger size or gone up a needle size.